Beautiful office space for independent contractors. Hi! 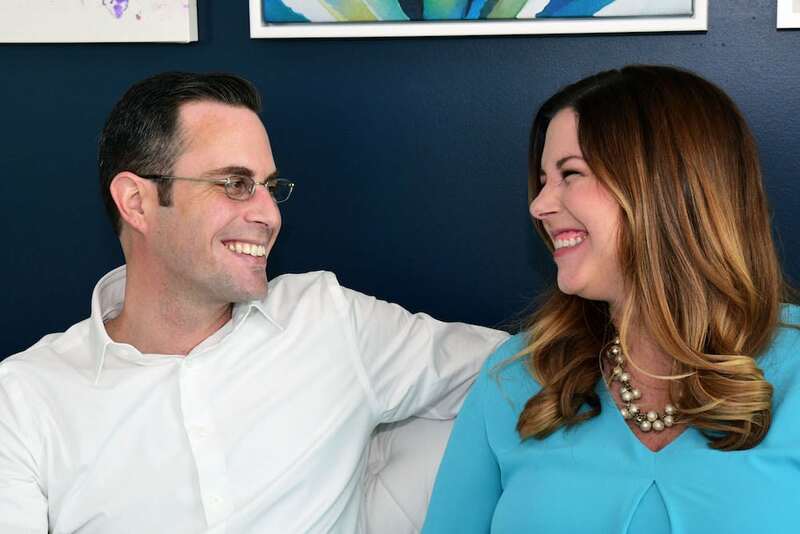 We're Jamie and Justin, a husband and wife team and founders of The Psychology Group Fort Lauderdale, LLC! Jamie is a licensed clinical psychologist and Justin is a digital marketing expert. It’s been our long-time goal to build a therapy office in which clinicians could supportively come together to do their life’s work with the right marketing to drive in business. With Justin's marketing expertise, we’re able to take our practices to the next level. Because in this day in age, passing out business cards, getting on Psychology Today and building a website simply aren't enough. While us therapists are focused on our craft, we have Justin to help with the rest. Jamie worked in several agencies and a couple of different group practices over the course of her career. The Psychology Group (TPG) was built with those past experiences in mind by incorporating the aspects she liked and leaving the rest. If you're wanting to be your own boss and enter private practice (or if you're looking to practice in a second location), The Psychology Group Fort Lauderdale could be for you. Take a video tour of our office space. 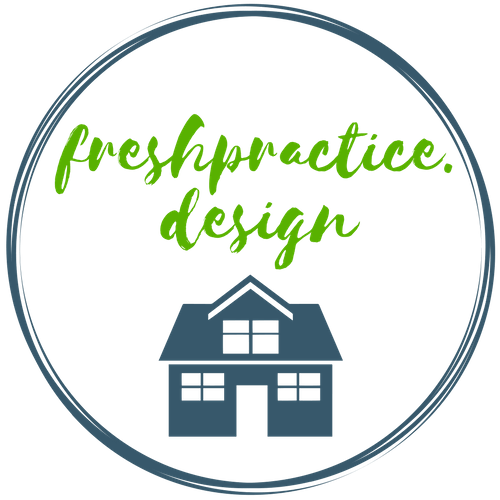 As Featured on Fresh Practice Design! Reasonable rates. Rent your space for the time you need. Newly renovated professional building in a safe, convenient location just a half-mile from the Atlantic Ocean on Oakland Park Boulevard. Walk to lunch or for a quick Target/Starbucks run. HUGE parking lot for you and your clients to park. Our suite is a 5th floor corner unit with beautiful views of Ft. Lauderdale. EVERY office has floor-to-ceiling windows. Sound-proof interior walls for quiet and privacy. Doing a meditation exercise with your client? Don’t worry, you won’t hear the party going on next door. Kitchenette and break room equipped with sink, coffee maker, microwave, toaster oven and fridge. We’re stocked with healthy snacks for in-between session fuel! Gorgeous, high-quality decor. Brand new, modern furnishings. And we’ll quickly replace anything broken or worn. Want to practice in more than one area? It’s okay to practice at locations other than TPG. No clinician takes precedent over the other. The Psychology Group is the name on the door, not mine. We won’t claim to be your director or your boss. It’s the collective of clinicians that is showcased, not the individual. You’re the owner of your company. In-house digital marketer. We have WebbyUp, Inc.—a digital marketing company—within our walls. Working here gets you a free individual marketing strategy session and advice whenever you see him at the water cooler. We also offer monthly marketing strategy sessions for our tenants where we teach various strategies and skills. Free private practice paperwork templates. We’re happy to provide guidance/assistance to new clinicians starting private practice or to those needing to update their paperwork to be on point with ethical and legal standards. The Psychology Group’s mission is to truly operate from a perspective of abundance. This means that we believe there is enough business to go around and we can support each others’ growth without worrying about how it could take away from individual success. We envision this practice being a launching pad for clinicians who also dream of opening up their own space one day. If launching your own group practice isn’t the goal, that’s not a problem. We’re more than happy to help make The Psychology Group your forever home. If you need a mentor, we’ve got you. If you have something to teach us, we’re listening. You can come to us with ideas, complaints, suggestions, or otherwise. Let’s grow professionally together and support one another in building the practice of our dreams! Is The Psychology Group a good fit for me? I believe practitioners in private practice should make six-figures and up. I prefer to be a self-pay business model rather than contracted with insurance companies. I value work/life balance and believe in working smarter not harder. My ideal clientele age group is adults and older adolescents. I do my best work with high-functioning clients who are committed to therapy & personal growth. I enjoy collaborating and socializing with my colleagues. I believe in abundance and therefore have a collaborative rather than competitive mentality. I am driven to work hard to generate referrals, be active in the community and embrace both traditional and digital marketing methods. If you answered true to the points above, you could be an excellent fit in our private practice. If you’re a friendly, responsible, professional clinician, we want to hear from you. Reach out to learn if space is currently available and if our practice is in need of your speciality experience.